A stay at the Ravel Hotel means you have access to some of the best things to do in the New York City area. Discover the city’s most notable landmarks on our custom New York tours, or opt for a day trip out to Long Island for completely unique experiences. Explore below for some of our favorite things to do in New York. There’s no better way to navigate Central Park than by bike. Join us for our daily Central Park bike tours, held 365 days a year at 9:00am, 10:00am, 1:00pm, and 4:00pm. This tour focuses on the culture, history, and architecture of the park while showcasing notable sights like Bethesda Fountain, Belvedere Castle, and more. The tours last for two hours and depart from 203 West 58th Street. Our Ravel Hotel concierge partners provide guests with a licensed, professional guide per every 15 guests. Private tours are also available at any time from 8:00am to 8:00pm. Before heading back to our hotel after your bike tour of Central Park, make sure to stop by Museum Mile to view some of the city’s most famous museums. From the Metropolitan Museum of Art and the Guggenheim to the Cooper Hewitt National Design Museum, there is plenty to explore along the park. Ride along one of New York’s most famous landmarks, the Brooklyn Bridge, on our daily bike tour. Leaving 365 days a year from 145 Nassau Street, our partner provides a licensed professional tour guide per every 15 people. This New York tour begins at 1:00pm and focuses on the popular culture history, art history, and architecture of the bridge. Private tours are also available at any time from 8:00am to 8:00pm. 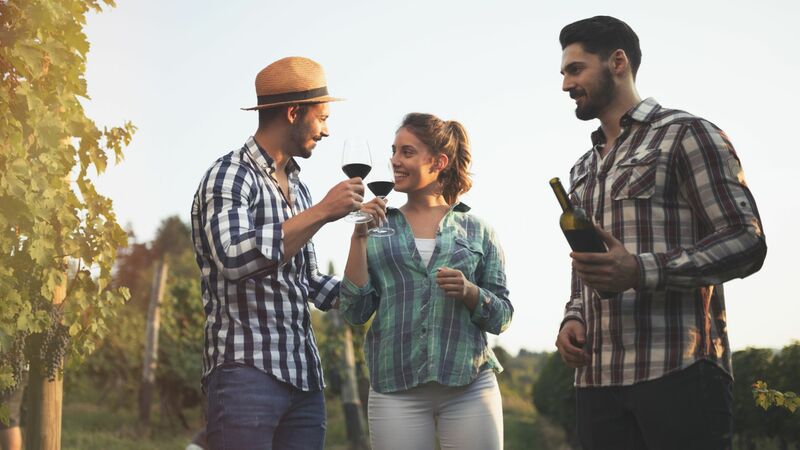 Spend the day sipping on delicious wines and spirits while taking in breathtaking scenic views when you plan a day trip to one of Long Island’s many wineries and vineyards. Our Ravel concierge will organize your winery tour, catering to a variety of tastes and budgets. Our team can both recommend and reserve tours and tastings, which can be customized for couples, small groups, birthdays, bachelorette parties and more.